President Donald Trump accused the media of bias and alleged that its coverage of the recent explosive packages was a way to “score political points” against him and the Republican Party. “For example, we have seen an effort by the media in recent hours to use the sinister actions of one individual to score political points against me and the Republican Party,” Trump said. President Donald Trump denounced the series of improvised explosive devices that were sent to high profile Democratic leaders this week, but accused the media for using the incident to “score political points” against him and the Republican Party. Trump referenced the arrest of 56-year-old Cesar Sayoc Jr., who is suspected of being connected to at least 13 mail bombs that were sent to the residences of Bill and Hillary Clinton, former President Barack Obama, the offices of Democratic Reps. Debbie Wasserman Schultz and Maxine Waters, and others. 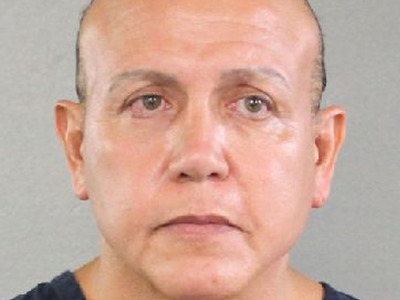 Sayoc is believed to have been an ardent supporter of the Trump administration and was seen attending Trump’s campaign rallies in 2017. His suspected social media accounts also appeared to send threatening messages to Trump’s critics. In his speech, Trump compared the media’s coverage of the attempted bombing to his administration’s response after the shooting of Republican Rep. Steve Scalise during a congressional baseball practice in 2017. Scalise was shot and injured by political activist and Trump critic James Hodgkinson, who died from his injuries after a shootout with law enforcement officials. Despite his claims, Trump’s critics have long alleged that his rhetoric in public statements and on Twitter instigated political unrest. Critics have pointed to Trump’s numerous campaign rallies, where the president describes his political opponents as “crazy” and other derogatory terms, as an accelerant to political violence.